Good quality E17 house removals are something of an art; and one that we know we have mastered. We promise to make your Walthamstow house relocation as hassle free as you want it to be, by listening to your needs and requirements and providing you with a tailored removals package that stays well within budget. We have services to help anyone moving house, from low-cost van hire to fully-manned domestic removals, so why not give us a call today and get the wheels moving on your relocation. If you don't believe how good we are take a look at a few of our testimonials; we take pride in our work and we think it shows. What more can we say about our Walthamstow man with a van service? The testimonials speak for themselves; this is a product that does exactly what it was designed to do, and that is provide help to people with any sort of removal problem. Our E17 man with van hire is a cost-effective way to get some expert help and a vehicle to help you tackle whatever task you choose. That's the thing about the man and a van; it can be used for just about anything. Storage runs, house moves, parcel deliveries; you name it and this is probably the ideal service to get it done quickly and within budget. Why not give us a call today to discuss things. Our Walthamstow man and van has quickly grown to become one of our most popular services, and we know why. You see the E17 man with van is a fantastic removals service, it's as simple as that. Not only is our van and man affordable; available at a price comparable with basic van hire, but it is versatile and the perfect solution for any manner of removal task from storage runs to furniture pick-ups. The driver behind the wheel of the removal van is one of our removals experts, and their expertise will prove invaluable over the course of the task at hand. Thinking of doing it on your own? Do it with one of our men by your side. When the time comes and you have a task for which only a removal van will do, give us a call. We have E17 removal vans suitable for just about any purpose; from the small and economical car-converts to the larger long-wheel-base vehicles. All of our Walthamstow commercial vans are part of a regular service pattern and undergo regular maintenance work to ensure they are always in impeccable condition. 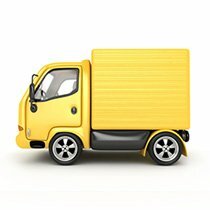 When you come to us for removal van hire you know you will be getting a quality, reliable vehicle at an attractive price. Our pricing structure is clear and flexible, and you won't be sting by hidden charges or additional fees. We can take care of all your E17 office removals needs, leaving you to concentrate on what you need to – your business. A Walthamstow commercial relocation can be a daunting prospect; you know you need to move but doing so could be damaging to your output, and you simply cannot afford for that to happen. It won't with our help; we will plan your business relocation from start to finish before carrying out with unrivalled speed, care and precision. We know how important that move is to your company and we will make sure it all goes perfect. With expertise built on years of experience we know how, so give us a call today. In terms of quality removal services Walthamstow, we know you will not find better. We also know you will not find a set of E17 movers who care more about their work, and who really go the extra mile to ensure the happiness of the customer. We are a removal company who listen; one who allow their customers to build the removal package they want from the individual moving services we offer. All of our products are affordable and customisable; we know every move and every situation is different and because of this we understand that every removal package needs to be tailored to suit to make sure the move goes perfectly, every time. Forget any other removal companies Walthamstow, you have found the best and that is exactly what you deserve. If you don't believe just how good we are scroll through some of our many positive customer reviews – we are an E17 removal company that has been carrying out successful moves for many years and our clients appreciate it. 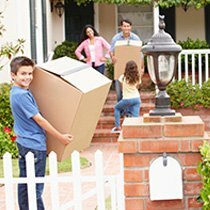 Other moving companies may be slightly cheaper, they may promise speed, but what they won't do is guarantee satisfaction. For a competitive price we will provide you with the moving experience you want, by listening to your needs and providing a bespoke package to suit that stays well within budget. Our dedicated E17 removal services make us the go-to Walthamstow removal company for the majority or people moving in to and out of the area. There's a good reason for this; not only does the range offer something for every person on the move irrespective of their budget, but our level of customer services and willingness to provide every customer with that bespoke experience that they deserve sets us apart from the competitions. Our back-room staff are polite and helpful, while our teams of movers are hard-working and dedicated to providing each and every person with a stress-free move. Why not give us a call to see how much we could help. For too many years has finding one's own storage space required a compromise between price and location. As a removal company ourselves we realised this and decided to set up our own E17 self-storage; conveniently located right here in the area with units available at extremely competitive prices. If this sounds too good to be true we promise it isn't; just give us a call today to find out a bit more about our Walthamstow storage facility and the amount of space available. We make storage easy, and our customers appreciate it. Pricing is clear and contracts are flexible, so reserve yours today to avoid missing out. Packing and boxes Walthamstow; two massive headaches when it comes to preparing to move. But fear not, as we can supply all manner of E17 packing supplies right to your door. Tape, protective wrapping and our specially-designed cardboard boxes; you could have all the supplies you need in hours simply by picking up the phone and giving us a call. The boxes are built to fit in the back of our removal vans so that they don't slip or slide, affording your possessions extra protection in transit. 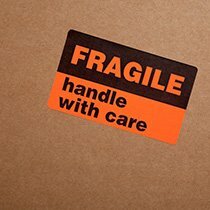 For those looking to beat the stress we can also offer a variety of packing services, so why not call today to find out more. Let our man with van professionals take care of your relocation in Walthamstow and save money and time. My husband and I were not on the same page when I asked him to hire a moving company. We even bet about getting the best value for our money after hiring one. For sure, my bet won, and at the end of the day, we were on the same page. He was pleased with how efficient the movers were, and he was in agreement that they are the best when it comes to giving the best value for money. Thank you Moving Company Walthamstow. I chose Walthamstow Man and Van Hire based on a recommendation from a work colleague. I was extremely happy with the professional and careful approach of the team involved, and was surprised that such a great service came at such a reasonable cost. Thank you! Company name: man with van Walthamstow Ltd. Description: Find out the easiest way of E17 removal by booking our moving services – office and home relocation, rental truck, safe storage facilities, piano and sofa removal in Walthamstow, Upper Walthamstow, Chingford, Sewardstone, Highams Park, etc.